Butchers plead for protection from France’s militant vegans!!! And who protects the animals from militant butchers? Paris: French butchers have issued a plea for police protection against vegans, whom they blame for a series of attacks designed to “spread terror” among meat-lovers. The butchers say they are coming under “physical, verbal and moral” attack from vegans and animal rights groups and warn that animosity against their profession is being fueled by heavy media exposure to the anti-meat cause. 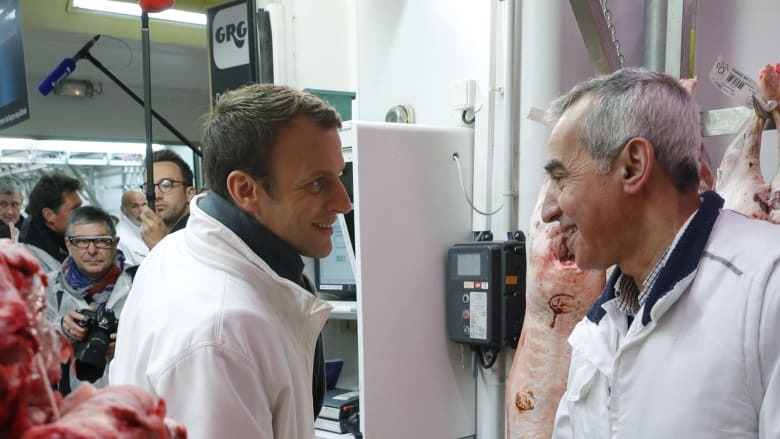 Then French presidential candidate Emmanuel Macron, left, shakes hands with a butcher as he visits the meat pavillion at the Rungis wholesale food market, south of Paris, in May 2017. They are asking for Gérard Collomb, the interior minister, to intervene. Their request comes days after a rotisserie in Lille, northern France, was vandalized, the fourth such incident of its kind in a matter of weeks. 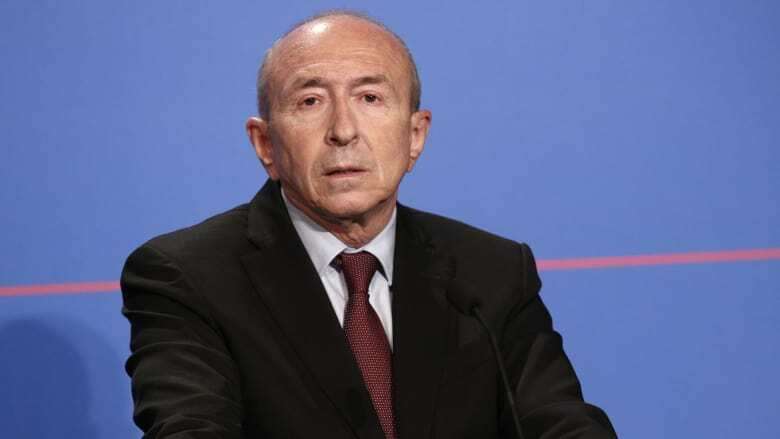 In a letter to the Mr. Collomb, Jean-François Guihard, president of the French federation of butchers and caterers said: “We are counting on your services and on the support of the entire government to stop as swiftly possible such attacks”. French Interior Minister Gerard Collomb. He said the 18,000 butchers of France were “worried about media overexposure of the vegan way of life”(!!!). Butchers were “shocked” by a section of society that “wishes to impose its way of life, not to mention its ideology, on the vast majority” of meat-eating French people, he added. 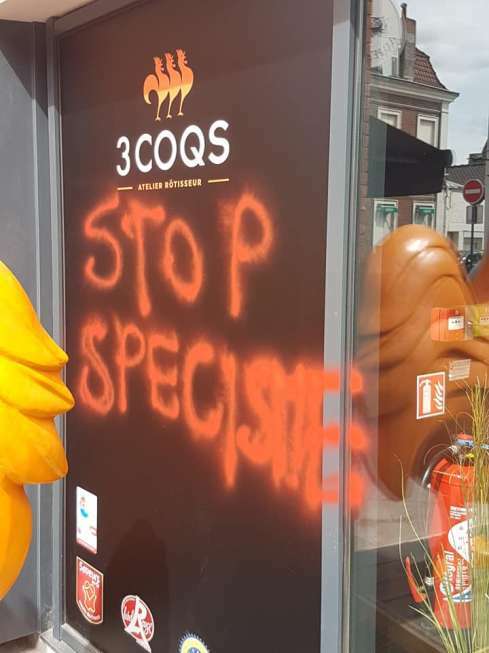 Besides the rotisserie, animal welfare activists also targeted a butcher, a fishmonger and a restaurant selling meat dishes in Lille in May. Martine Aubry, the mayor of Lille, has said the town hall intends to file a legal complaint. With only around three per cent of the French population vegetarian or vegan, the notion of dropping meat from the menu has been slow to catch on and even frowned upon in a country proud of its boeuf bourguignon and foie gras. 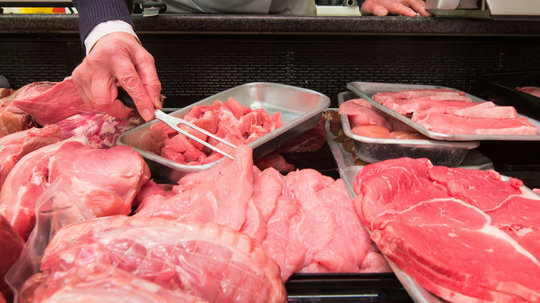 But French butchers have hit the headlines in recent months, following a spate of hard-hitting exposés on abattoirs and battery farms – several by the animal welfare group L214 – revealing the apparently inhumane conditions in which animals are being kept and killed. The butchers’ federation pointed out that in late March a vegan activist had hailed the murder of a butcher in a supermarket in Trèbes, near Carcassonne by an Islamist terrorist. The activist posted on Facebook saying she had no qualms over the killing of Christian Medvès, a butcher and one of four people killed by gunman Radouane Lakdim on March 23. “So, does it shock you that a murderer gets killed by a terrorist? Not me, I have zero compassion for him, there is justice in it,” she wrote. The activist later received a seven-month suspended prison sentence for “condoning terrorism”. The French butchers’ plea for help comes a month after Britain’s Countryside Alliance warned that attacks on small businesses by vegan activists were on the rise. Death threats, stoked by social media and encouraged by international groups of activists, have caused butchers and farmers to “live in fear,” they warned. In April, the French parliament passed a law making it illegal for vegetarian food producers to use meat-related expressions, such as “steak”, “merguez”, “bacon”, “sausage” or “bacon-tasting”, to describe food products that are not partly or wholly composed of meat. In what was seen as a victory for France’s powerful meat lobby, MPs voted for the change on the grounds that customers were being misled.